Members of The Small Business Web, a network of web-based software solution providers helping small businesses grow, will be presenting a panel discussion, “Friends with Business Benefits: How Integrations Sell Apps,” during the South by Southwest Interactive festival, Tuesday, March 15, at 12:30 p.m., in the Hilton, Salon D, 500 East 4th St., Austin, Texas. The Small Business Web is sponsored by American Express OPEN, the financial service company’s small business unit. The Small Business Web is now more than 160 web app companies strong. Together, we're rewriting the rules for traditional business development by building the market for small business software through integrations. So how has it not devolved into fisticuffs and mayhem? And why does integration help both the consumers and the vendors who are building the applications? Members of the Small Business Web will lead the panel discussion, “Friends with Business Benefits: How Integrations Sell Apps,” during the South by Southwest Interactive festival, Tuesday, March 15, at 12:30 p.m., in the Hilton, Salon D, 500 East 4th St., Austin, Texas. We'll cover the power of the open API, why customers buy apps that integrate, how they're embracing their competition and why sometimes even they have to remember to "Hug It Out" as they work together to define the future of the Small Business Web. Amy Ellis Head of Integrations MailChimp.com: If you’re wondering who that lady is with the cute monkey hats, wonder no more! It’s Amy Ellis, Head of Integrations and Partnerships at Mail Chimps in Atlanta, GA. Some of our favorite qualities about Amy are her passion for rescuing animals, her willingness to pick up more bananas when she’s out and her penchant for throwing kickass parties. Sure, she has a diverse background in production management and nonprofit marketing, but what you really need to know is that she drinks single malt scotch on the rocks. Don’t forget it. Chris Lucas Mktg Formstack: Chris Lucas is the Chief of Woo at Formstack. Setting the vision for Formstack’s in-bound marketing program and discovering new ways to drive web traffic and leads is what gets him out of bed in the morning. Since starting at Formstack nearly 4 years ago, Chris has worked with PPC, SEO, PR, and Social Media. He now focuses his time on interweaving smart web marketing and overall product vision to build an ever-growing user base. With a background in PR, communications, and marketing he has experience in a wide variety of industries including Sporting Goods, Bio/Pharma Marketing, and High Tech PR. A Purdue University graduate, Chris loves watching college sports, enjoys playing ice hockey, and most importantly loves spending time with his two young children and his beautiful wife. Michelle Riggen-Ransom CCO BatchBlue Software : Michelle Riggen-Ransom is a writer who focuses on social media, technology, nature, parenting and increasingly, the intersection of those topics. She is co-founder and Chief Communications Officers for BatchBlue Software, which makes online tools for small businesses including BatchBook, the social CRM. She's also co-founder of The Small Business Web (http://thesmallbusinessweb.com). Michelle is a contributing blogger for PopTech (http://poptech.com), where she writes about people and projects who are using technology to change the world. Her other annual pilgrimage (besides to Austin in March) is to Camden, Maine, in October to liveblog the PopTech conference. Currently living in Providence, Rhode Island, with her husband and their two budding naturalist/techies, she very much enjoys curious object-collecting, swimming, cocktails and storytelling. Scott McMullan Google Apps Partner Lead Google: Scott is the Google Apps Partner Lead for Google Enterprise and is focused on helping companies grow their business with Google Apps and the Google Apps Marketplace. A startup guy at heart, Scott joined Google when it acquired JotSpot, where he ran developer and partner programs, and previously founded Inovie Software, maker of early Web collaboration service TeamCenter, acquired by SDRC. Scott holds bachelor's and master's degrees in computer science from UC San Diego and was a PhD student at the university's Computer Systems Lab. Sunir Shah Chief Handshaker FreshBooks: Sunir is the Chief Handshaker and Head of the Platform at the plucky online invoicing service, FreshBooks in Toronto, Canada. FreshBooks helps its customers get paid doing the things they love to do. Save time, get paid faster, and look more professional. At FreshBooks, Sunir also co-founded The Small Business Web. Sunir and his colleagues work to make the Open Web the best place to build, find, and buy software for small business. 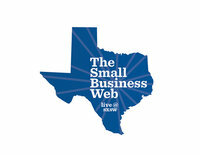 The Small Business Web is sponsored by American Express OPEN, the financial service company’s small business unit.